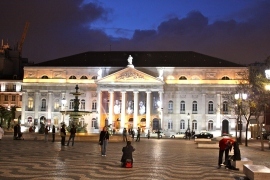 The Lisbon region includes Lisbon, the capital of Portugal – and at the same time also the biggest city of the country. 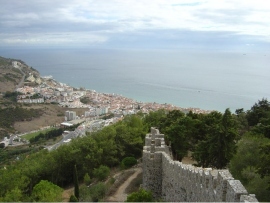 The city faces the ocean and sits the side of the river Tejo (better known as Tagus in English speaking countries). Like many other famous city, Lisbon is built on seven hills. Over 550,000 people call Lisbon their home, and for many tourists Lisbon is the first stop in Portugal if they arrive by plane. Lisbon has a rich history, and archaeological sites that include sites from pre-Roman times can be explored by visitors. 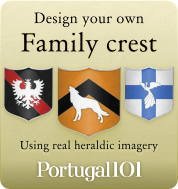 The city is also a great place for research into heritage and history of the Portuguese people. The handy Ask me Kiosks that are in various places of the city help tourists with questions they might have (or if they get lost), and the main Ask Me Lisboa office is very helpful when it comes to information about Lisbon (you can also use the office to arrange your accommodation and book tickets for visitor attractions). Lisbon is called the white city. This mainly has to do with the fact that the light in the city is almost always perfect, and when the sun shines on the white-washed houses, then you can understand why the city received this name. Lisbon is also known to be the only capital in Europe that has white sand beaches just 20 minutes away from the city centre. Throughout history, Lisbon has also played a vital role – and it is almost impossible to name all the things that are important about Lisbon itself. You can spend weeks in that city without every getting bored, or without every being able to explore everything there is to see. If you want to go to the one place in Portugal in which you can learn most about the country, then Lisbon is definitely a good start. It might feel very different from the little villages, and other regions, but it is the place where all the knowledge can be found in museums, libraries and very old sights. 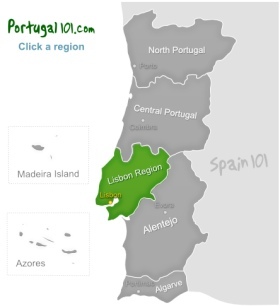 What should you see if you visit the Lisbon region? This UNESCO World Heritage Monument was built during the early 15th century, and a rather ornate watchtower. This monastery is the resting place of the famous explorer Vasco da Gama, and built in the 16th century. The buildings of the monastery are also listed on the UNESCO world heritage list. Many people consider this monastery to be one of the most beautiful monasteries in the world. If you go there, and see the buildings “in person” instead of just on photos, then it will also be easy to understand why people have this opinion. In addition to the beauty of the monastery, you can also learn some interesting historical facts. Apart from having great views over Lisbon, this castle also offers the visitors a chance to feel like they stepped back in time a little. Imagine what it was like to stand on the walls of the castle and watch out for anything that might be seen as a danger. When you wander around the castle, you will be in the company of peacocks (and if you are lucky, they'll even spread their tail feathers for you), and you can visit a small but charming museum. If you like art by Rubens and Rembrandt, and various pieces of art from the East and West (paintings, sculptures, etc. ), then a visit to this private museum is a must. If modern art is more your thing, then you should head to the Berardo museum instead of the Calouste Gulbenkian. This church is called the most expensive chapel in the world – and once you go inside it is easy to know why. A lot of the interior is just overly decorative, and when you have a closer look at some of the decorations, you might also be in for a surprise. The chapel might be a little overwhelming. The national gallery of Lisbon is another great place for people who have an interest in art. The tile museum is housed in what once was the Madre de Deus Convent. The oldest tiles in the collection are from the 15th century, and the museum is more interesting than the name might suggest. It is a great way to see how tiles where used throughout the centuries, and the convent building itself is also an important historical building with some interesting stories attached to it.